We are a Hotel Monument housed in a beautiful and elegant historical building in the center of the city: the former convent of the Franciscan nuns of the Virgin Mary. 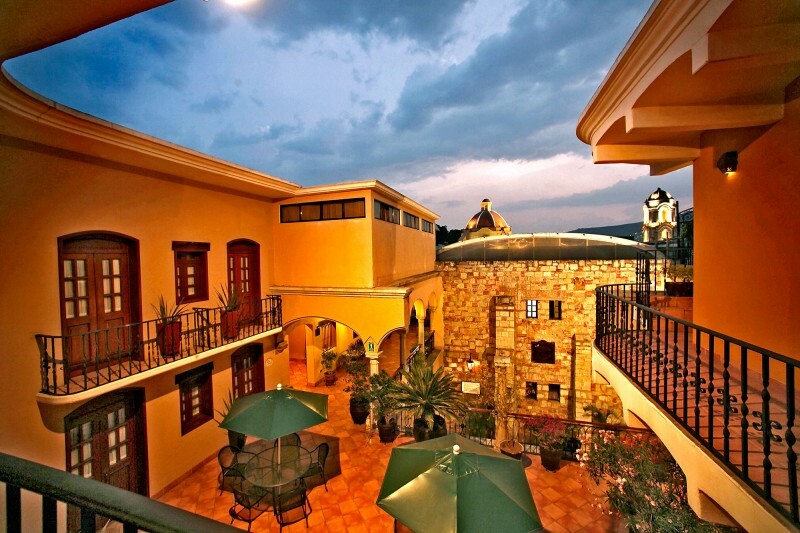 We are in the heart of the city and just a few steps from the emblematic socket state capital of Oaxaca. Here, our guests visit and know the ancient culture that abounds in our land, while converging on a space comfortable and elegant refinement in our hotel. With a remarkable hotel tradition, spanning four generations, we have established ourselves as a favorite for those who like to breathe closely cultural life and heritage of Oaxaca. Recently our building had a meticulous renovation inside, with the purpose to renew and improve the quality of our offer of accommodation. Significantly improve the experience of comfort room in the entire set. Hotel CasAntica® we are dedicated to achieve the greatest benefits for our guests and visitors. Hotel CasAntica® provide a personalized service that seeks absolute comfort and warmth, based on their preferences and requests. We extend the same hospitality to each of our guests, overseeing primary requirements and final details to ensure your total enjoyment. For the location of the Hotel CasAntica® is decisive and convenient to go into paths within the main museums, galleries, theaters, cafes and restaurants in town. In most of these areas of colonial cut the intense cultural and artistic activity that exists today in this beautiful old city breathes. We received with pleasure and your canine pets only, at extra cost. Please review our pets rules.